Contract workers identify and sort dropped off materials at the 2015 collection event. A volunteer removes items from the rear of a car at the 2015 event. A collection of Household Hazardous Waste awaiting disposal. The Ecology Action Center (EAC) is moving forward with its 2017 Household Hazardous Waste Collection event after meeting an early fundraising goal. The EAC has raised 56 percent of a $35,000 goal. 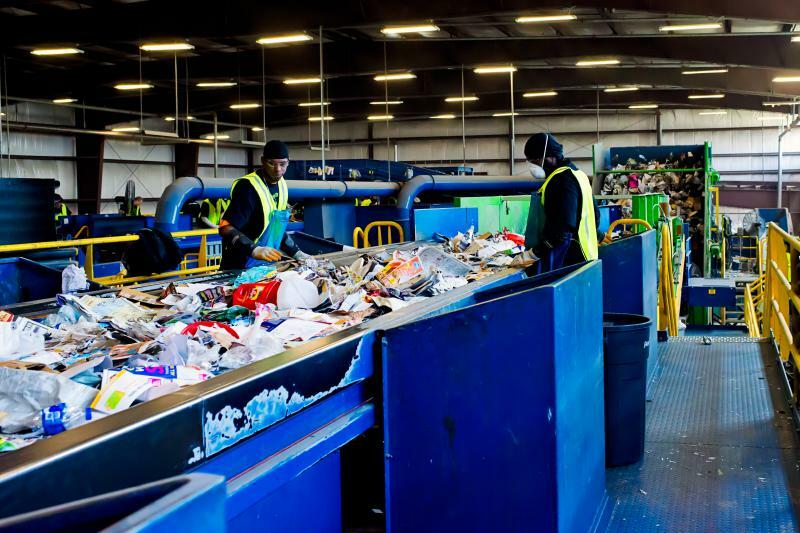 The amount will be combined with $140,000 from the City of Bloomington, Town of Normal, and McLean County to pay for the collection and disposal of the waste. "We should be able to pay for this year's event with a budget of about $170,000 or $175,000," said EAC Executive Director Michael Brown. "We don't know what year we will go well over budget, that turnout is much better than anticipated, that materials that are brought are more expensive than usual, all these other variables." To cover the unexpected, the EAC also keeps some restricted funds in reserve. Brown said the EAC doesn't get a bill for disposal until after the collection event. Brown said "we have no idea." During the first announcement of the 2017 event on GLT's Sound Ideas, Brown credited community partners and singled out Rivian Automotive, which now controls the former Mitsubishi Motors manufacturing plant. The Mitsubishi location has been the site two of the three past collection events. McLean County residents line up in cars to drop off items at the 2015 Household Hazardous Waste collection event. "Rivian has been incredible," said Brown. "Rivian is so enthusiastic about being a positive part of this community, contributing, and really making a difference. Since we first reached out, when they first came on scene, they've been receptive all along, very eager to make this event a success." The event on Saturday, Sept. 9, from 8 a.m. to 2 p.m. can be accessed using the south entrance, off West College. Anything toxic, corrosive, explosive or reactive will be accepted from McLean County residents only. 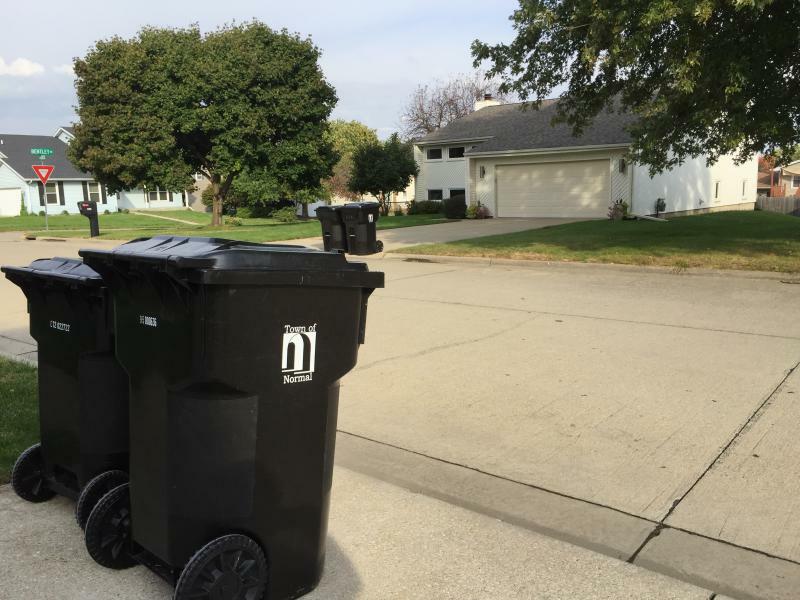 Brown urges neighborhoods to come together to collect the waste and designate a driver to drop off the hazardous material to cut down on traffic. In 2015, 1,600 cars passed through the collection site. Editors Note: WGLT is a co-sponsor of this event. An excerpt from GLT's interview with Michael Brown. GLT's full interview with Michael Brown. McLean County's latest Household Hazardous Waste collection drew 22% more vehicles than the event held two years ago. Ecology Action Center Director Michael Brown says the 1,600 vehicles tallied was down from the inaugural event in 2012, but that's not necessarily a bad thing. 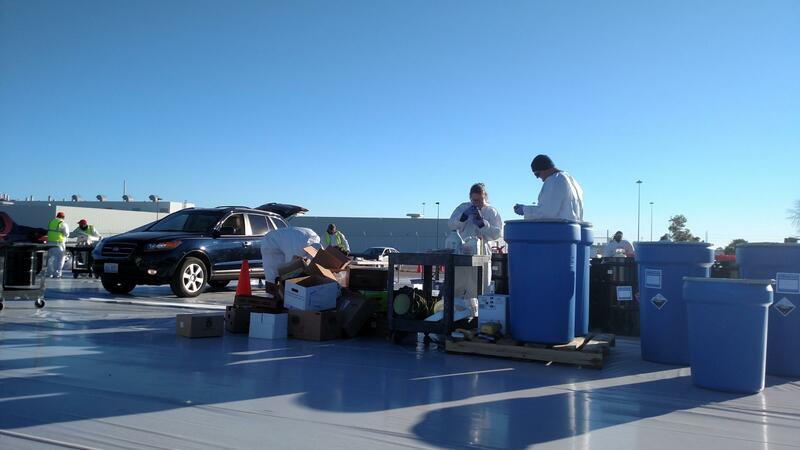 Contributions to pay for the collection and disposal of electronics, chemicals, oil paint, and other hazardous waste that should not be handled were more than the estimated $180,000 cost of the event. Brown says he is still developing totals for the amount of materials collected.